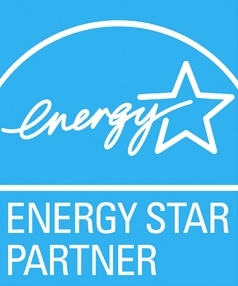 Considering an Energy Audit for your Sacramento-area home? Energy Audits save you money in the long run by telling you exactly what needs to be fixed and why. No more guess work. No more expensive projects that fail to decrease your energy bills. An Energy Audit from California Energy Services will provide you with a custom homeowners report that carefully details the most pressing issues. We also work within your budget to craft a plan of action that is feasible and effective. Best yet, we connect you with the best financing in California to help fund your energy efficiency work. At California Energy Services, we take our energy audits as seriously as we do the rest of our energy services. Our experienced energy diagnostics team is well equipped to thoroughly test your home. Using the latest technology such as infrared thermography and energy modeling software, we can pinpoint the exact areas in your home that are leaking conditioned air. If you're interested in improving the efficiency of your home and are not sure where to start, we highly recommend an Energy Audit. We've been doing them for years in the greater Sacramento area and have hundreds of satisfied customers who now enjoy the benefits of living in efficient homes with low energy bills. an inefficient home could costing you a bundle. How Much Cool Air Are You Losing Out Your Old Windows? Many homeowners across the Roseville area are struggling to keep their cold conditioned air in, and the hot air out. One of the biggest culprits is old, drafty windows. So how can you effectively stop cold air from leaking out and keep your home’s temperature right where you want it?